The Progressive Influence: As Trump World Turns: "Civility"
As Trump World Turns: "Civility"
The Zara jacket is an attire item from a company with a history of shady market development and product development. Fortune ran this piece three days ago. It should be noted the retailer also has other attire items which are free of the snarky message Trump's wife chose to very visibly flourish. The Trump's are marketing and messaging fiends. Wearing the message jacket indicated a motive. 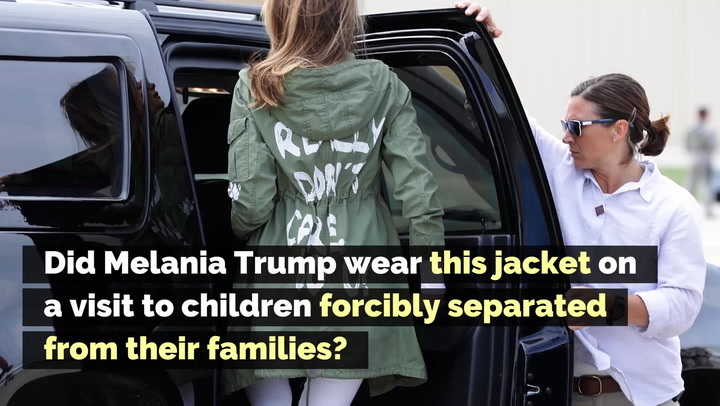 Of course, we cannot guess the motive, but we can suggest the jacket was most inappropriate when associated with the trip to the most attractive and humane of child jails in Texas. 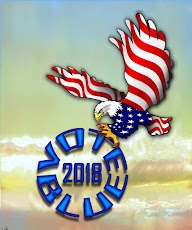 As issues of civility flourish post the comments of Congresswoman Maxine Waters....and not before. Another Trump messaging opportunity emerged via Huckabee Sanders being asked to leave a restaurant. Of course, Trump joined the fray with what his supporters will find a "civil; Tweet. "The Red Hen Restaurant should focus more on cleaning its filthy canopies, doors and windows (badly needs a paint job) rather than refusing to serve a fine person like Sarah Huckabee Sanders," Trump tweeted on Monday. "I always had a rule, if a restaurant is dirty on the outside, it is dirty on the inside!" It seems Trump either sent someone to check out the restaurant after the Sanders; eviction or he (I suspect) viewed the images of the restaurant and developed a set of personal observation he could share with his sycophant supporters and the nations' gullible. A tidbit from the CNBC linked article (above). In February, the Virginia Department of Health found no violations at the property. Inspectors gave the restaurant, which claims to be Lexington's first farm-to-table eatery, its highest possible rating. I digress while moving from issues of civility to Trump's lack of veracity. Civility for Trump and conservatism seems to exist as a form of the one-way mirror (Police Station like). While we started this piece with comment and opinion regarding civility, we must end the piece with a video segment from MSNBC's Deadline White House. Frankly, it is refreshing to know a few Republicans view the nation's 45th President for a rational perspective. The few who speak out certainly do not offset recent reports of 90% support for all things Trump from the nation's conservatives.